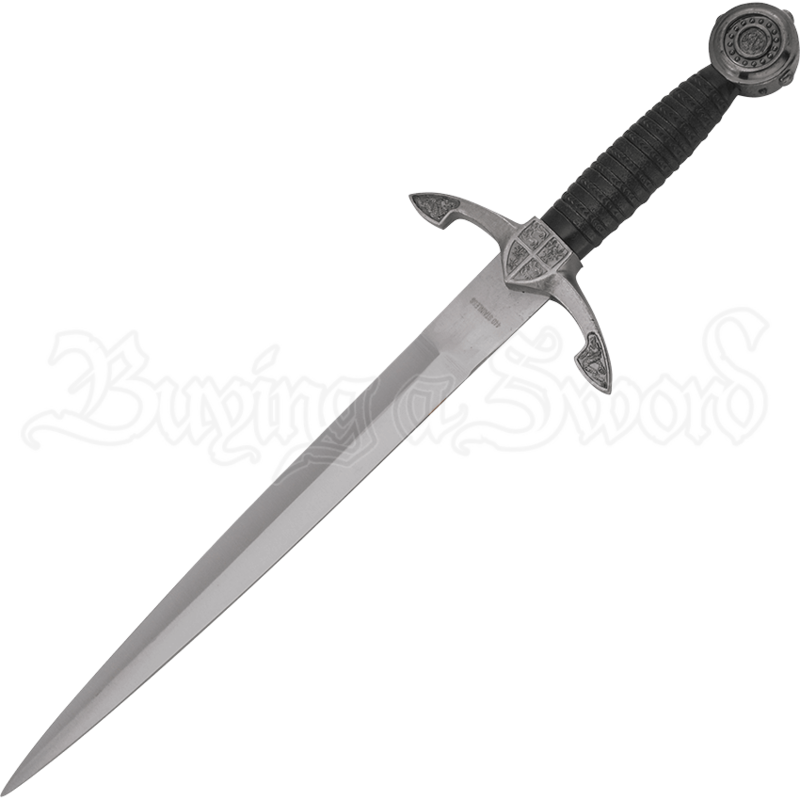 Drawing its inspiration from medieval weapons of old and noble heraldry, the Decorative Medieval Shield Dagger features a shield shaped crest at the center of its guard and matching heraldic lion detail upon its included sheath. The blade is made of 440 stainless steel and displays a traditional spear point dagger shape. Turned upwards towards the blade, the arms of the guard also feature heraldic beasts upon their ends. The rounded black handle is textured with lines for a steadfast grip, and the round pommel features decorative rivets around its edges. A beautiful home decor piece or collectible, this medieval heraldry dagger is perfect for historical enthusiasts and collectors of medieval weaponry alike.